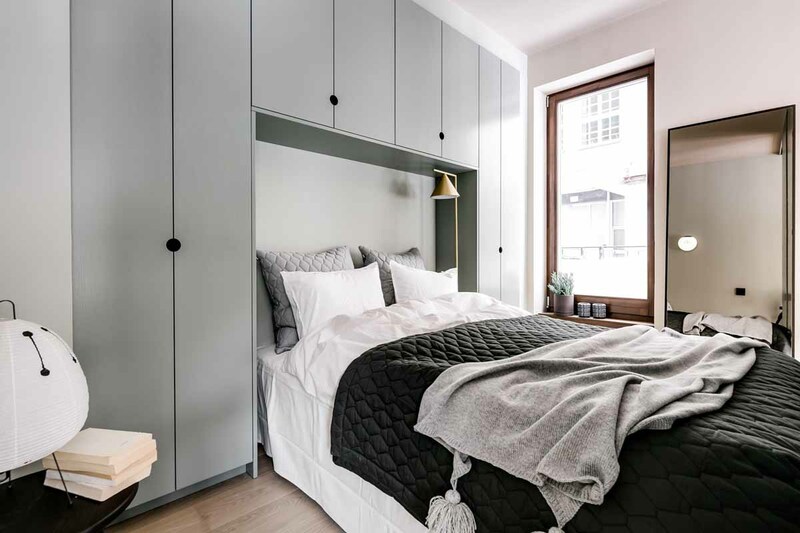 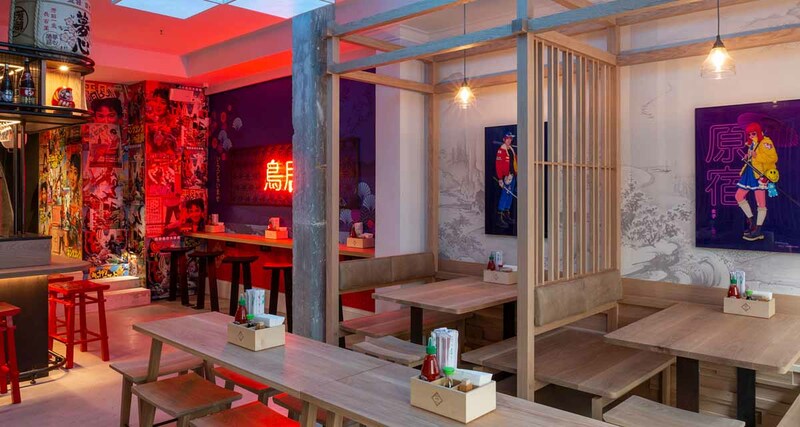 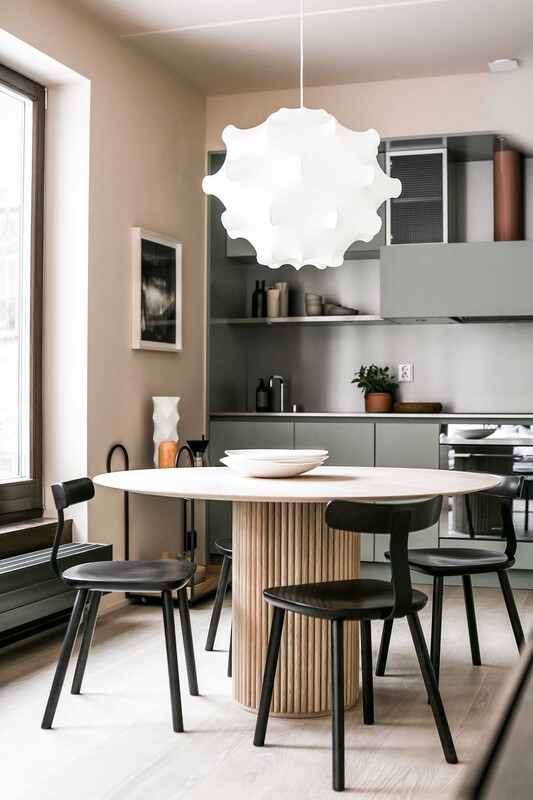 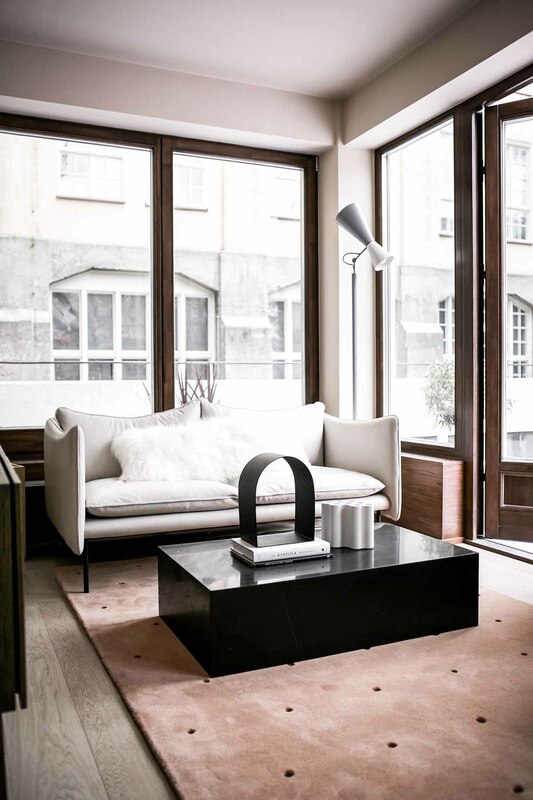 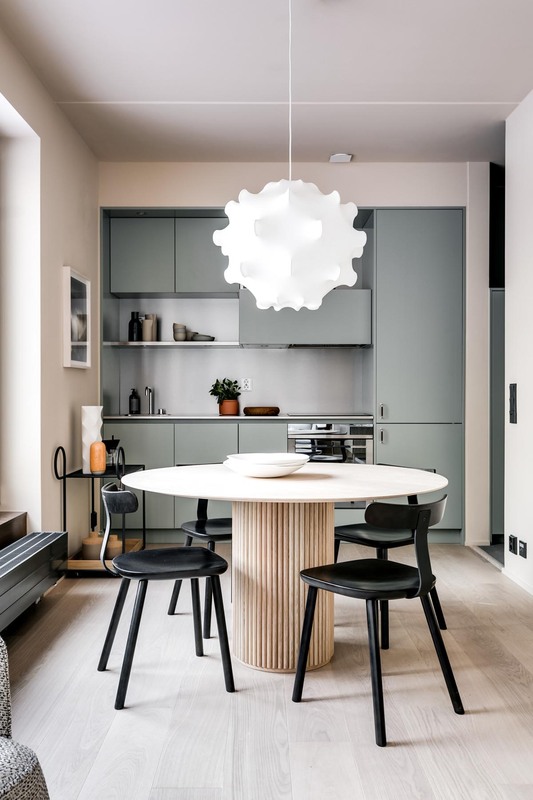 This space, a collaboration between Note Design Studio and Koncept Stockholm, is part of a new build project located in the design district of Stockholm. 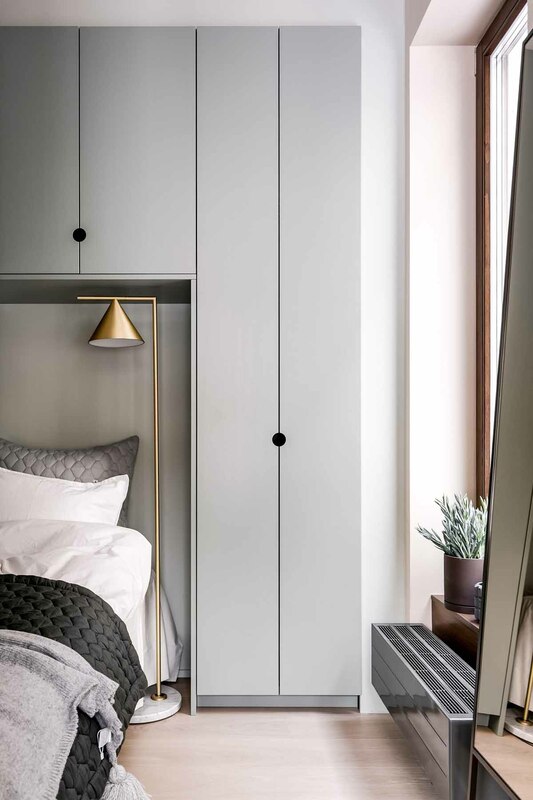 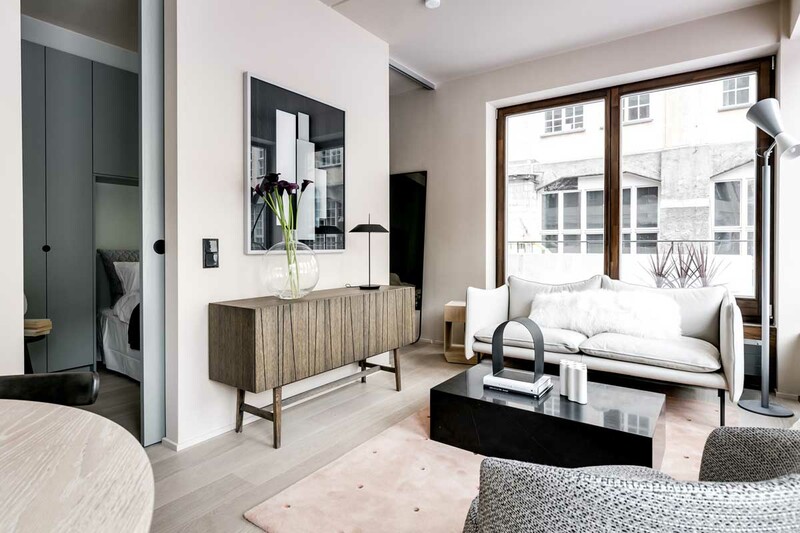 These exclusive apartments have been designed to maximise the use the of the small space using bespoke finishes and tailor made solutions, from the choice of wood down to the door handle, and to ensure they remain timeless and relevant for many years to come. 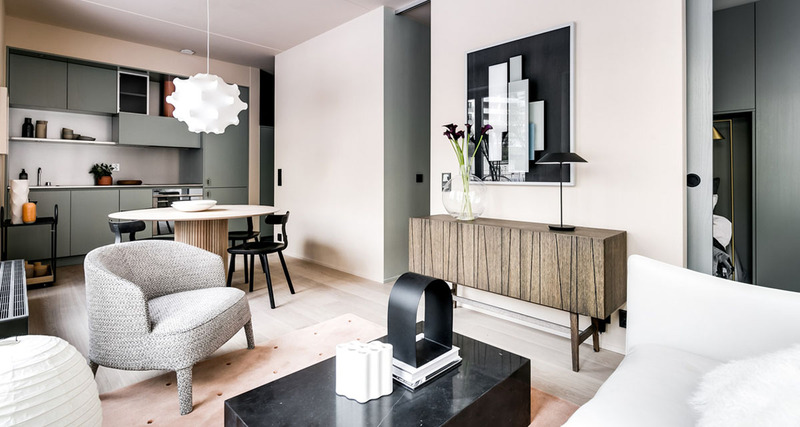 I particularly love the choice of pink and blue-grey pastel hues that envelop the apartment. 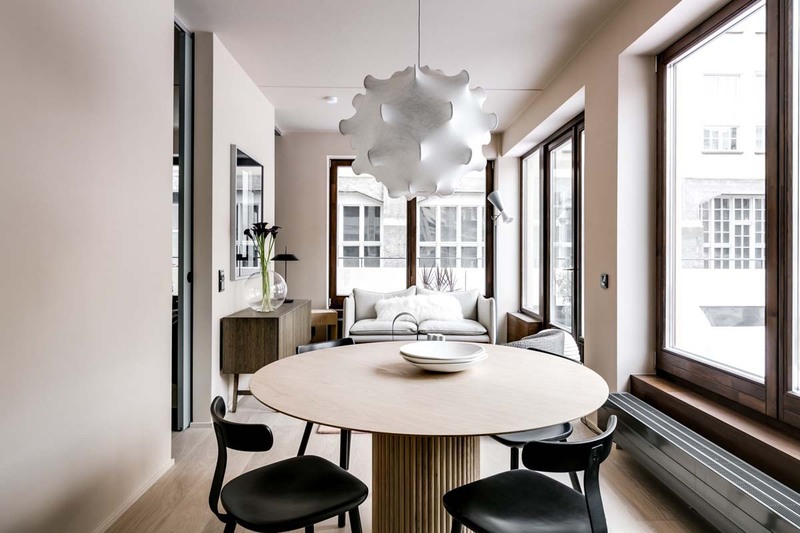 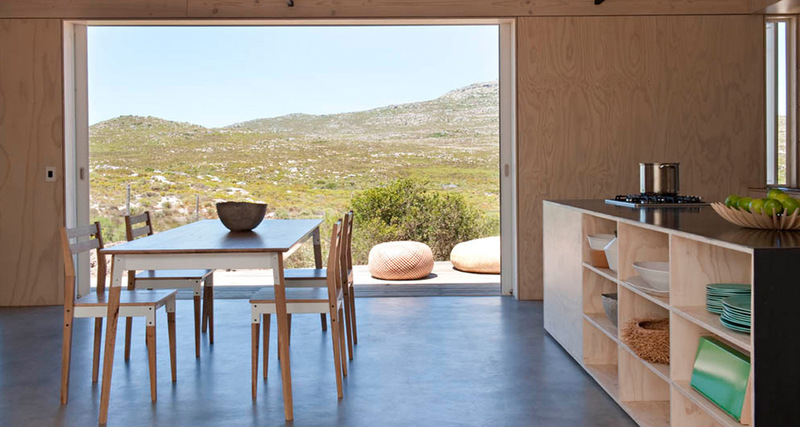 The wood panelling brings in warmth, while the combination of wood, black and white furniture bring in a ‘neutral’ aspect to the space that prevents the wall colour from overpowering the interiors.